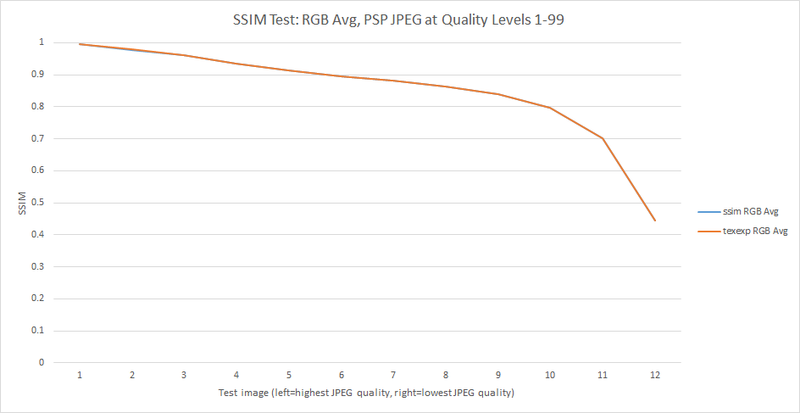 Alright, I'm implementing SSIM. There are like 30 different implementations on the web, and most either rely on huge dependencies like OpenCV or have crappy licenses. So which one do I compare mine too? 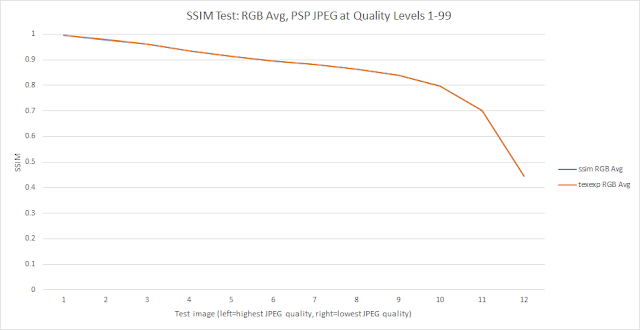 The situation with SSIM seems worse than PSNR. There are just so many variations on how to compute this thing. On Multi-Scale SSIM: I've been given conflicting information on whether or not this is actually useful to me. Let's first try regular SSIM. The X axis represents the various quality levels, from highest to lowest quality. 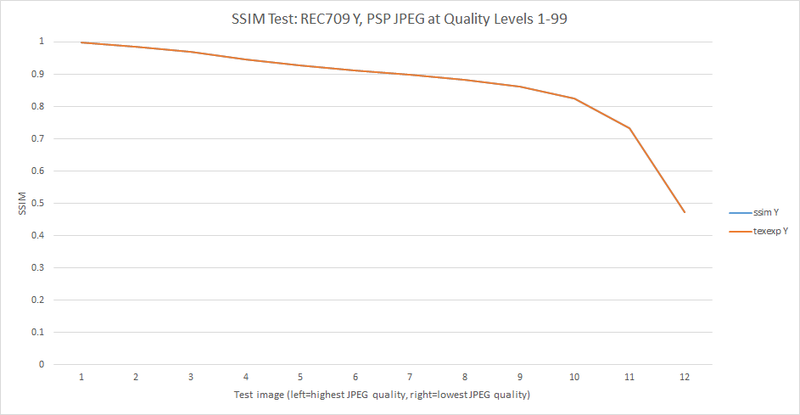 The 12 PSP JPEG quality levels tested are 1, 5, 10, 20, 30, 40, 50, 60, 70, 80, 90, and 99. Y axis is SSIM. Thanks to John Brooks at Blue Shift for feedback on this post.